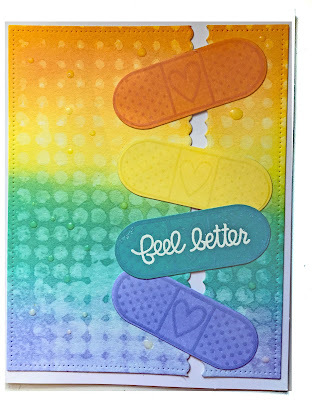 MaryFran Simply...: Rainbows Help You Feel Better! I decided to play along with the Mod Squad Challenge because as a pastel, I thought this card would fit the Spring theme. To create this A2 card, I began by ink blending the colors from orange to lilac and then using a stencil laid over the background I sprayed it with water and let it sit a minute and then lifted it to create the background. I ink blended the same colors and die cut the band-aids. I stamped and embossed in white the sentiment. Once done with this die cut the background rectangle panel and then used a border die to cut this panel apart. 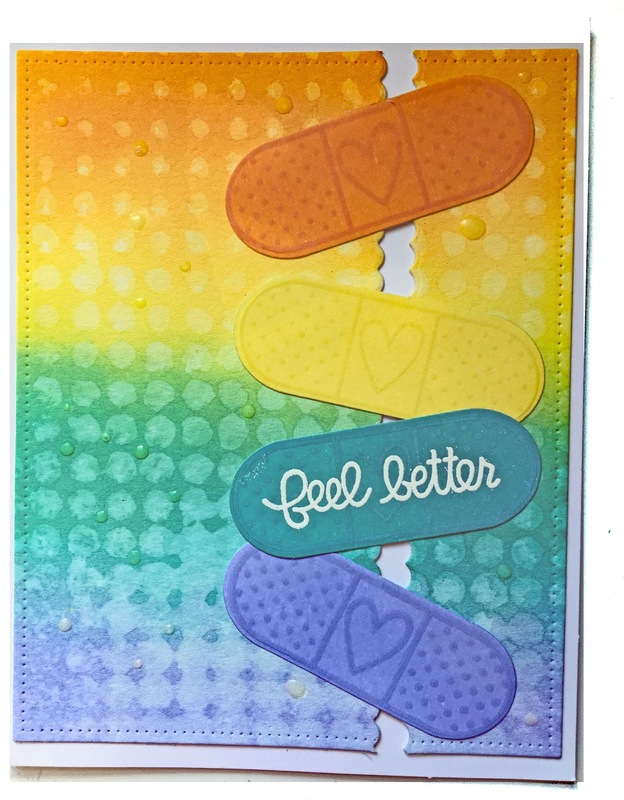 I adhered the two pieced to a card base being sure to separate it enough so that the band-aids appeared to 'hold' it together. Voila! Thank you very much for reading this and the materials used are listed below.